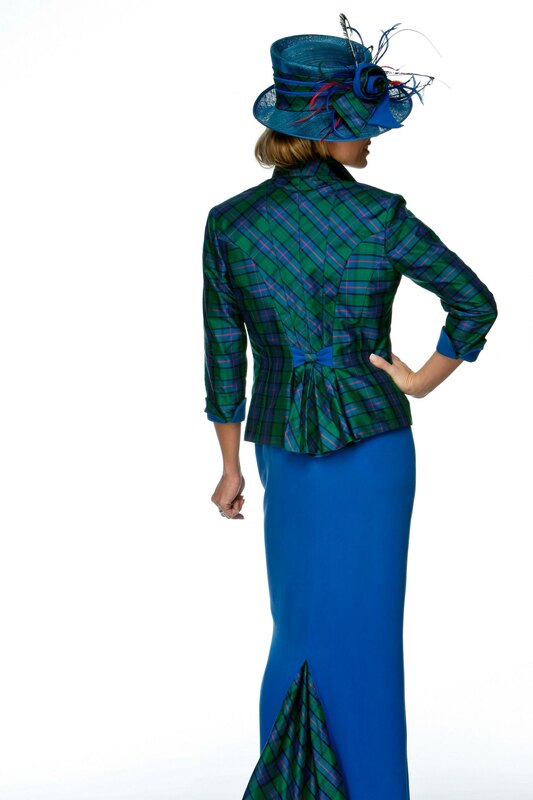 Stylish outfit with Scottish flavour. 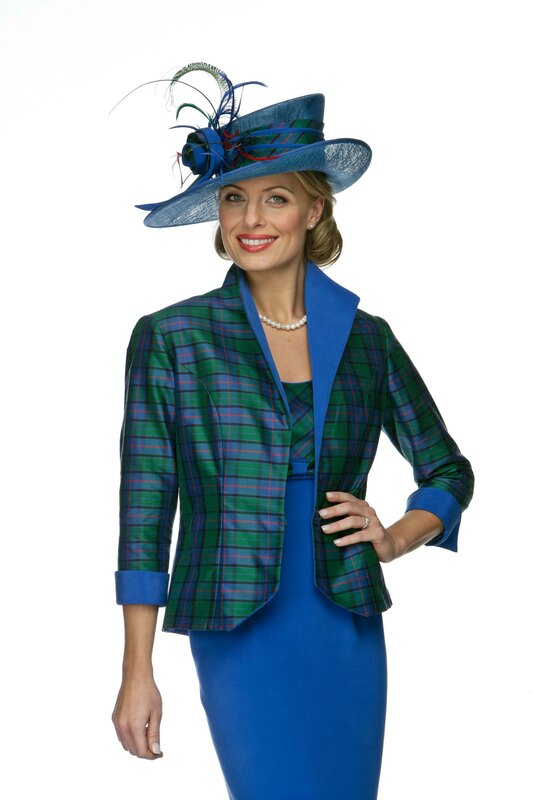 Choice of silk tartans for jacket and matching sand washed silk for dress. hats made to order from a wide choice of styles and decorated to match your outfit.